﻿ How To Make Online Classifieds Work For Your Business? Home » Business » How To Make Online Classifieds Work For Your Business? We are living in the internet era, as its usage grew worldwide. It provides a great medium for buyers and sellers to independently post and search the ads through online classifieds. No matter where you live in the world, you can easily interact with purchasers & merchants and make the transactions in a quick way. Online classifieds have become more popular over recent years and you might be puzzling about the reasons for its rapid growth. Cost-effective, potentially seen by millions, show the product/service in the form of images & videos, possibility to leave the contact details, and quick response are some of the causes of the massive intensification of online classified advertising. Both buying and selling the items are possible in online classifieds. Moreover, they make the customers feel relaxed while searching their preferred product with a variety of choices. You might be aware of the drawbacks of traditional newspaper advertising. Yes, the ads in the magazines and the newspaper would get rotten easily and may not view by the people in different parts of the world. So, you must be thorough with the advantages of online classified advertising. Now, the question is, how to make online classifieds work for your business? Let’s discuss some essential points through this post. Classifieds online are the main source of customers for many businesses and when done smartly, they can generate huge leads for your business. There is no rule that states the exact way to post the ads, but taking a few measures at the right time would boost your business performance. Targeting the audience is more important and thus you need to choose the exact category to place your business details. Because someone who is looking to hire an SEO service is definitely not looking in the art & craft category. Likewise, your business ad should enlighten your ability to meet the specific needs of your clients. Therefore, it would be better to ask directly what the customer is looking for. The first few word counts of your ad matter a lot as it would grab more eyeballs and nudge them to check the rest of the ad. So, start your ad by explaining the important benefits of your product/service. Do not begin with unessential stuff, as it would spoil your reputation. A short and crisp ad which specifies who you are, what you sell, why they should get it, how to reach you, will attract huge visitors. Mention the imperative stuff (do not enclose whole details) of your business on the online classifieds ads to get more leads. Keeping an eye on competitors would enhance your business routine. Track your opponent where they post their online ads and find their keywords. Try to include same keywords in your ad to whip them. Posting your ads in inactive or less popular online classifieds would not let you get good results. 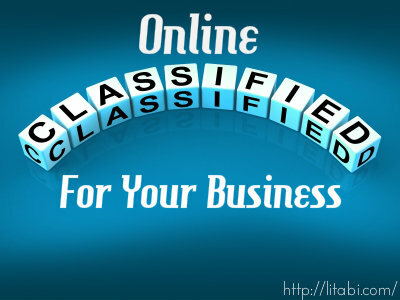 You should choose some dynamic classified sites to reach wide customers and make more leads. You may choose the lively online classified website, Jiji.ng to publish your business ads without any hassle. It has developed security system where you can post your free ads with images to sell. You heard it right! To get good response rate, do not try to sell your product/service through your ad. Just focus giving information and make an effort to direct your audience to request additional information. It would be to do some homework to discover the suitable timing to post your ad on online classified websites. Test on weekends and holidays or when people spend more time on the internet. Blindly posting your ad on classifieds would let you end in nothing. So, post regularly to hit the peak times. The internet has modernized the way we do every activity. We are depending on the web for more things like getting recent updates on any matter, looking for particular information, involving in entertaining activities, buying & selling the items and so on. The invention of online classifieds websites has created a revolution in the marketing field. Unlike the typical e-commerce sites and printed classifieds, online classifieds provide a simple avenue for consumer and retailer to list, search and manage directly. Likewise, they quickly surpass the traditional classifieds due to their extensive reach and ease of use. To get maximum more benefits from promoting your business on online classifieds, you need to identify the leading online classifieds which will accept your selling details. If you’re not using online classified websites, I’d suggest you start promoting your business over there. I hope that the above-discussed points would help you to make online classifieds work for your business. What do you say? Do you find this post useful? Have you used online classifieds for your business? Share your thoughts and experience in comment section. Anyone can submit free classified ads to meet advertising needs. A classified ads is used as an effective marketing tool so it is very important to make an attractive classified ad. Become successful with online classified ads these article is the most important for all. Thank you Nirmala for such informative article.